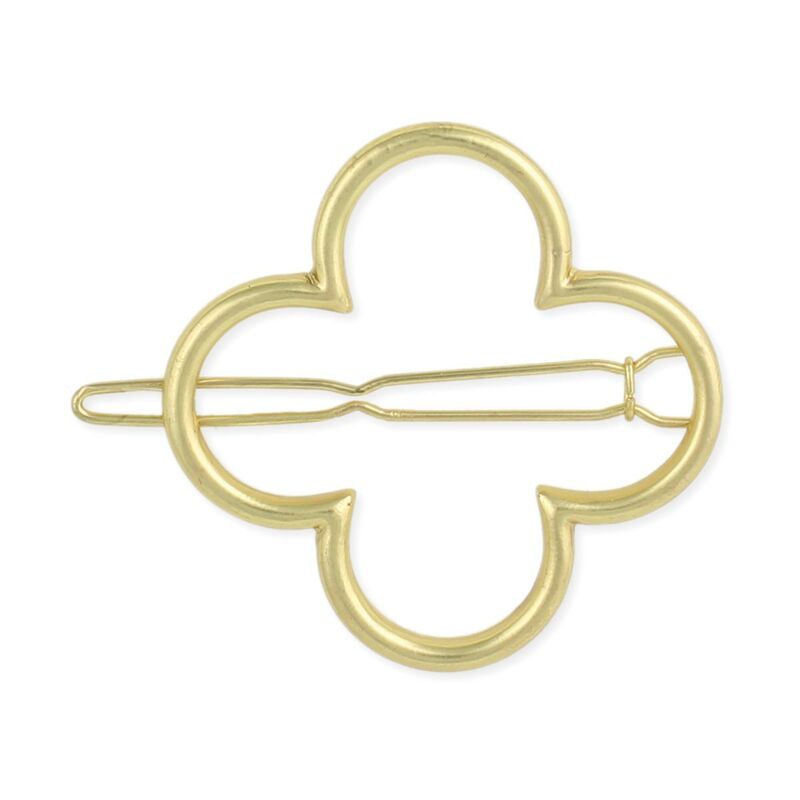 Lucky you can wear a lucky clover in your hair! Bright gold hairclip includes cutout large clover design. Measurements (approx.) 1 3/4" x 1 3/4"